The Fibit Versa was a popular addition to the Fitbit lineup. 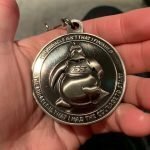 I tested the Versa back in the spring and fell in love with many aspects of it but like most rocky relationships go, we had our connection issues. That is, I had trouble getting it to connect and stay connected to my Android phone. There were also issues with connected GPS in that it often underestimated distance by a good 10-20%. But I have new results all these months later to see if performance has improved and whether our relationship can get back on track. And if you don’t want to read through the whole article to find out. Yes, the Versa is performing much more reliably after several updates. 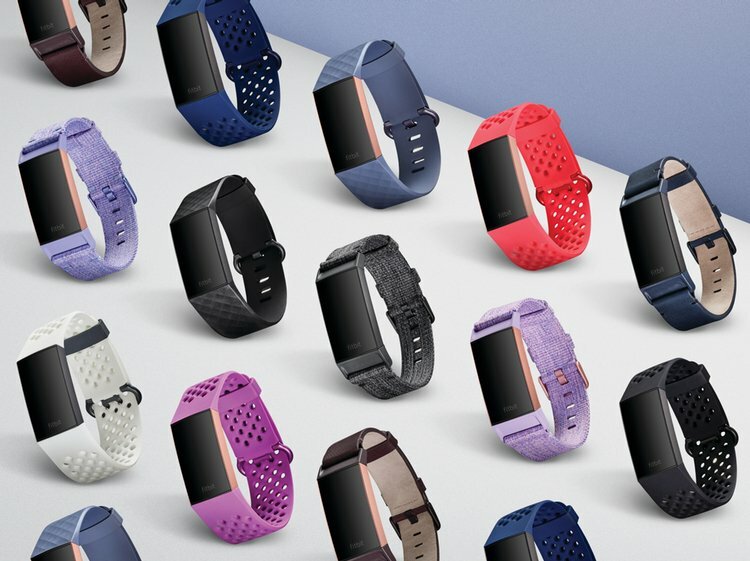 In the Fall of 2018, Fitbit released the upgrade to their most popular fitness tracker, the Fitbit Charge. 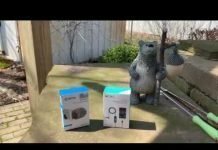 The Charge 2 is their best selling device and the Charge 3 available on Amazon offers some improvements over the Charge 2, such as support for swimming, a full touch screen, a lighter aluminum case, and other tweaks. 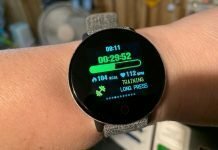 In this article, I put the Versa against the Charge 3, testing out connectivity, battery life, heart rate accuracy, step tracking, connected GPS accuracy, and overall usability. 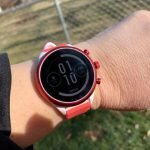 There may be several of you out there trying to decide between the Versa and the Charge 3, so hopefully this will help you make the right choice for you or for someone else, if you’re purchasing it as a gift. 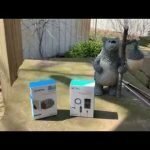 So what are the major differences between the Charge 3 and the Versa? There are some big differences between the two. 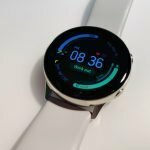 The Versa also available on Amazon is following in the footsteps of the Ionic as being more of a smartwatch than just a fitness tracker. 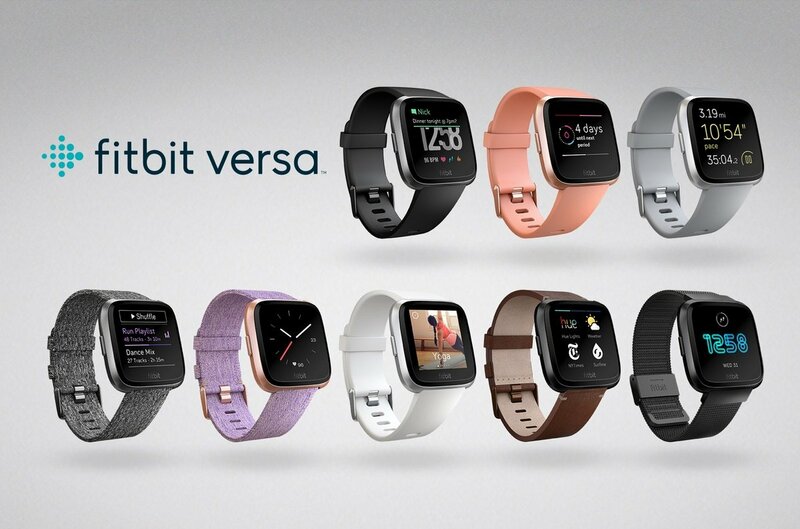 With the Versa, you’re going to be able to download and use a variety of apps on your wrist. Some of the apps include map apps, music apps such as Pandora and Deezer, as well as Flipboard for news, calculators, Yelp, Strava, games, and various weather apps. The Charge 3 supports a very small selection of apps, although it is Fitbit’s hope that more apps will be available in the future. The most notable and useful app is a weather app, so you can now check the temperature and forecast on your wrist. 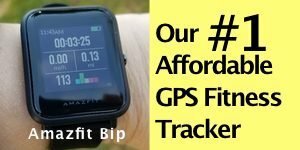 Both use connected GPS, so you’ll need to bring your phone along for outdoor workouts in which you want GPS to help more accurately determine distance traveled. With the Versa, you can download music directly to the watch, although it’s a bit cumbersome to accomplish. However, using a streaming service like Pandora, you can download playlists to the watch to listen to while working out. You can also control music on your phone from the Versa too, although I’ve had trouble getting it to work. The Charge 3 doesn’t have support for music, either as a storage devices or as a music controller for music on your phone. Both the Charge 3 and Versa are waterproof for swimming and can track swimming. Both can automatically detect certain activities (not all those listed below) after you have been performing them after a certain number of minutes, although I’ve never noticed either device recognizing my activities. This might be a bug because I’ve been reading of others having the same problems. Probably the biggest difference between the two is their design which affects their functionality. 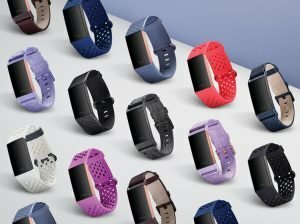 The Versa has a square screen more reminiscent of the Apple Watch while the Charge 3 is the traditional bracelet style tracker. The Versa also has a full color screen, several watch faces to choose from, and a much more responsive touch screen than the Charge 3. The Charge 3 has a black and white screen and while the screen is now fully touch sensitive and larger than the Charge 2.And the full-color screen of the Versa is going to allow you to use some pretty cool looking watch faces, of which some are animated. Personally, I like the style of both of them. A fitness tracker in the style of a bracelet like the Charge 3 has advantages when performing certain workouts. It doesn’t restrict the movement of my wrist when I’m doing push-ups or similar activities. However, both a very comfortable to wear, although I think the Versa is more comfortable. My skin doesn’t sweat beneath it like it does with the Charge 3. Also, the heart rate sensor on the Versa doesn’t protrude from the bottom of the watch while the HR sensor on the Charge 3 does some. The prices of the Charge 3 and Versa aren’t hugely different. There’s usually about a $50 difference, with the Versa being the more expensive model, but you might catch it on sale. 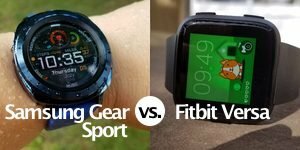 The rest of this comparison is going to focus on test results between the two because what’s more important than accurate activity tracking on a fitness tracker? Nothing! The distance estimate between the two was almost exactly the same. The Charge 3 estimated .8 miles and the Versa estimated .81 miles. The biggest difference was in the step count, with a 200 steps difference between the two with the Charge 3 counting more than the Versa. My tests on the heart rate sensors for the Versa and Charge 3 has shown them to be very similar in performance. Both have been stable and reliable when I’m walking or running. But I might have to give the edge to the Charge 3 for its’ heart rate sensor. It performed a little bit better than the Versa in my tests but I’ll be putting both through more tests in the future and will update the results. As far as battery life goes, you’ll get more out of the Charge 3 but the Versa will give you a good 3-4 days, depending upon how many workouts you do and how often you’re interacting with the screen. With the Charge 3, I could probably squeak out 5 days but again that depends upon how many fitness activities I do. So, if you’re making your decision based upon performance and accuracy both are going to give you similar results. 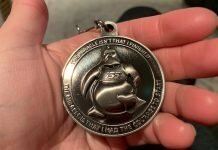 It seems like the connected GPS has improved for the Versa but I want to do some more testing. Sleep tracking was similar between the two but I think the Versa tested out just a little bit better. 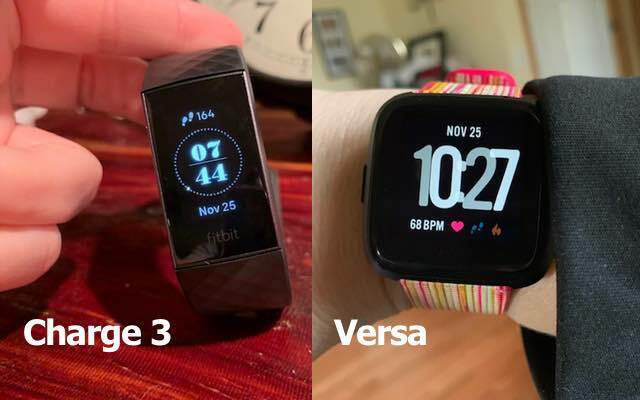 The biggest change I’ve noticed with the Versa, all these months later, is that it is connecting and syncing much more reliably. I’m not having those issues I was having early on. When I first got the Charge 3, I was having some of the same problems but a firmware update and updates to Fitbit’s mobile app seemed to have cured those issues. It’s a bit slow to sync but I can always get it to sync and notifications are coming through as they should. If that changes I will let you know! View the Fitbit Versa and the Fitbit Charge 3 on Amazon for current pricing. 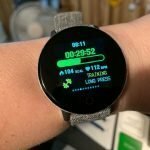 Previous articleTicwatch Pro, Ticwatch E & Ticwatch S Black Friday Sales!